Lightpower was founded in 1978 in Germany as a lighting rental company. Since then Lightpower has grown to be an internationally established distributor for stage and studio lighting equipment. The Lightpower Collection was born out of a company culture that has grown over several years with a passion for collecting Rock’n’Roll art. The collection features photography and album cover artwork from many of the world’s greatest photographers and designers. Neal Preston’s Rock’n’Roll photography represents the core of this collection and comprises over seventy large-format original fine art prints. Preston’s archive is one of the most extensive in the world and includes every major artist in rock history. His photographs continue to be shown worldwide. The latest opportunity to see his works was at the NAMM Show in Anaheim in January and the next public possibility will be at Stage | Set | Scenery in Berlin, June 18. – 20. A new travelling exhibition of classic 60s jazz artists by legendary photographer Jim Marshall featuring forty previously unseen original fine art prints from the R|A|P book “Jim Marshall: Jazz Festival” could be seen from March 1st to April 30th 2018 at Vaerket in Randers, Danmark. These limited edition prints, signed and numbered by the Jim Marshall Estate are also available for purchase. The Lightpower Collection curates and produces exhibition concepts and provides artworks for events. All prints are available for sale via the website. The Lightpower Collection is a non-profit organisation. All proceeds from sales of fine art prints and merchandise will be donated to “Behind the Scenes” and “Backup–The Technical Entertainment Industry Charity”. After the overwhelming success of the Neal Preston Exhibition at this year’s NAMM Show, Lightpower’s owner Ralph-Jörg Wezorke handed over a donation of $ 10,000 each to both charities. 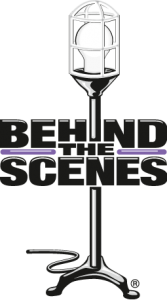 Behind the Scenes takes care of entertainment industry members in need, while the NAMM Foundation works to advance active participation in music making across the lifespan by supporting scientific research, philanthropic giving and public service programs.